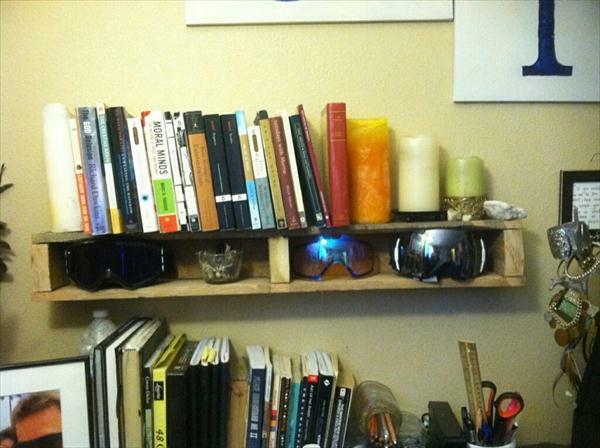 Pallet wood always goes friendly to short budget people to get adorable furniture on a budget. This is also a kind of wood that comes as a great shipping wood waste and to give it a second chance to be useful again would definitely be a positive step for wood waste reduction. If you too have some accessible sources of pallet wood then do try your hand to recycle the pallets for sturdy, new and highly utilitarian wooden objects out of it. 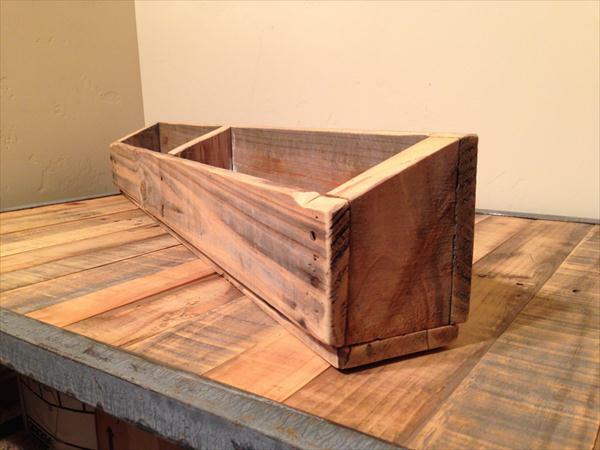 This dual purpose DIY multipurpose pallet shelf is a beautiful example of pallet wood crafting and upcycling and can stay as a remarkable functional object on home blank wall areas. Either position of it can be mounted on wall to remarkably to display your items of interest. 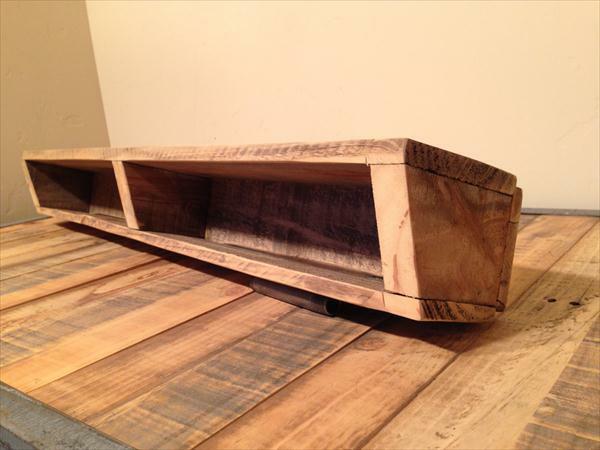 This pallet shelf has a sharp cut at the top that can be positioned to get a beautiful DIY pallet rack out of it or make it mounted directly on wall with cut side upward to have a bookshelf or a functional storage unit out of it. Do make this DIY pallet project copied as it really superb for bathroom storage or kitchen storage.